MCF047 - Teutonic Knight Banner Bearer. 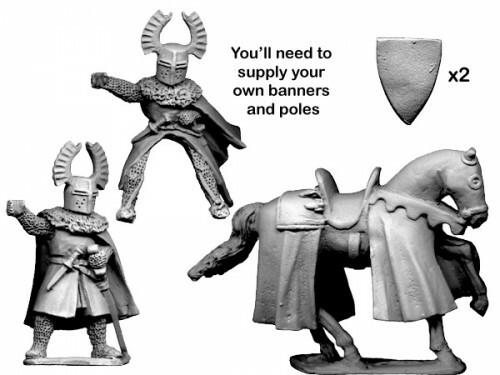 Knight bearing banner ï¿½ foot & mounted version Figures are 28mm sized, made of metal and supplied unpainted. Wire lances can be bought in our modelling section, NSS102 being the most suitable. Banners can also be bought in our modelling section.